"I remember Mark telling me that the one thing he loves the most is seeing the children he teaches looking up at him and concentrating intensely while he explains the game to them"
Now, with a passion to see a 4-year-old smile and listen intently to what he is teaching them or a 70-year-old appreciating his ability to adapt his expertise to their physical capability, Mark excels in providing all individuals, a fun, safe and professional experience at Knutsford Tennis Club. 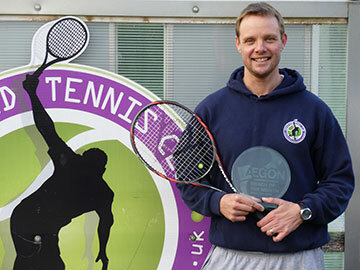 Mark is an inspirational, highly motivated coach who has become the welcoming face of Knutsford Tennis Club. 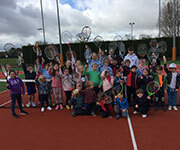 His never flagging enthusiasm encourages not only widespread participation of all ages and abilities, but excellence too with our Under 9 and 10 teams both being Cheshire Champions for 2015. He has built excellent relationships with local schools, roughly 600 children pass through his courses and camps per year. 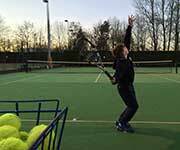 He keeps us adults on our toes too, though in the case of cardio tennis, it's more like gasping on the floor (for me anyway). Approachable, friendly, but professional, he helps us all achieve our goals and we know we are lucky to have him. Mark is an exceptional player and Coach. 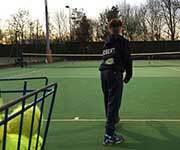 An ex-professional, he is dedicated to finding players for the future on behalf of the LTA but also relishes teaching anyone who has an interest in the game. 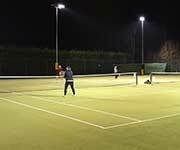 The work he has done at Knutsford Tennis Club over the past 7 years is enormous, transforming the club from a standard players club into a nationally recognised organisation. He is a credit to the Club and the LTA. On a personal note, I remember Mark telling me that the one thing he loves the most is seeing the children he teaches looking up at him and concentrating intensely while he explains the game to them, listening to him and then trying so hard to do what he has explained. That, to him, was the best feeling in the world. That is why he loves his job so much and is so successful. 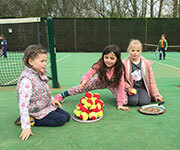 Knutsford Tennis Club is a friendly and welcoming club for children and adults alike. 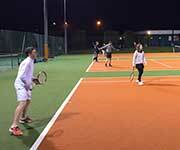 Both my sons have played tennis therefrom an early age under the guidance and coaching of Mark. 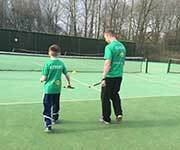 Today, 6 years on the continue to enjoy and be challenged by Mark’s fantastic coaching. 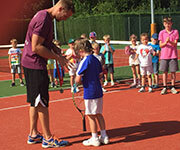 Mark is a great coach because at the same time as having fun, he makes you the best tennis player you can be.